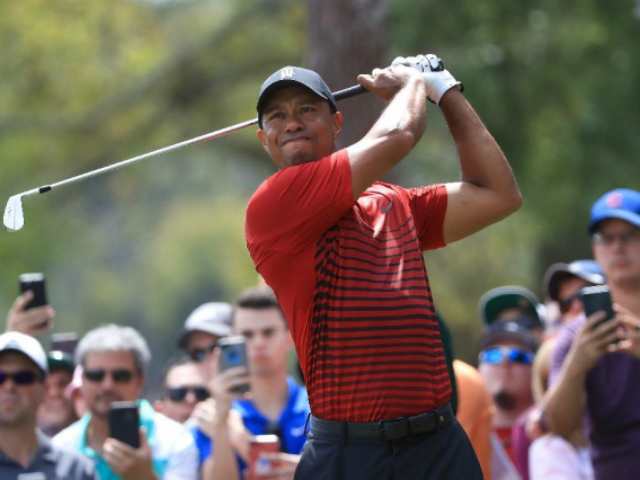 Miami (AFP) – Tiger Woods came up just short of his 80th US PGA Tour title on Sunday at the Valspar Championship, where it was England’s Paul Casey ending a victory drought with a one-stroke triumph. Woods, the 14-time major champion playing just his fourth Tour event since spinal fusion surgery last April, showed he’s a contender again as he fired a one-under-par 70 to share second on nine-under 275 — one stroke behind Casey who surged to his second US PGA Tour title with a 65 for 274. “I think I’ve gotten a little better than what I was a couple of weeks ago,” Woods said. Woods’ fusion surgery ended a brief comeback bid last year. He remains in search of his first title since 2013 — but on Sunday it finally looked as if it wasn’t a question of whether that drought will end but when. Woods didn’t find another birdie until the 17th, where he drained a putt of almost 45 feet to close within one stroke of Casey’s clubhouse lead and send his massive gallery into a frenzy. He couldn’t repeat the feat at the 18th to force a playoff, however, another long birdie try coming up a couple of feet short. Reed opened his round with a 60-foot eagle putt from the collar of the green at the first. He was 10-under through 17, but dropped out of playoff contention with a shocking bogey at the last, where his first putt failed to make it to the upper tier of the green where the pin was located. “To get this one, to get my second one on the PGA tour is emotional. I’m so happy for it,” Casey said, noting that winning any tournament on one of the world’s elite tours is just difficult. “(Woods) made it look easy for such a long time, and it’s not,” he said. Spain’s Sergio Garcia put in an encouraging performance as he warms up for the defense of his Masters title, firing a final round 65 to finish alone in fourth on eight-under 276.